So this is my take on the fall makeup :). 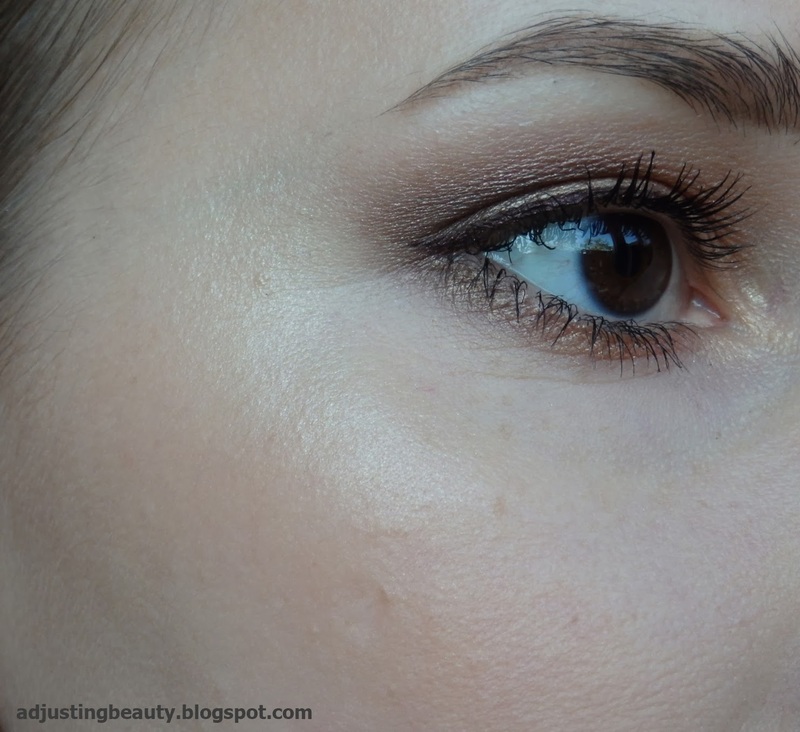 I have been obsessing over this particular bronze orange shade as an all over eye shadow. I just love warm toned shades, because it gives such warmth to the face. 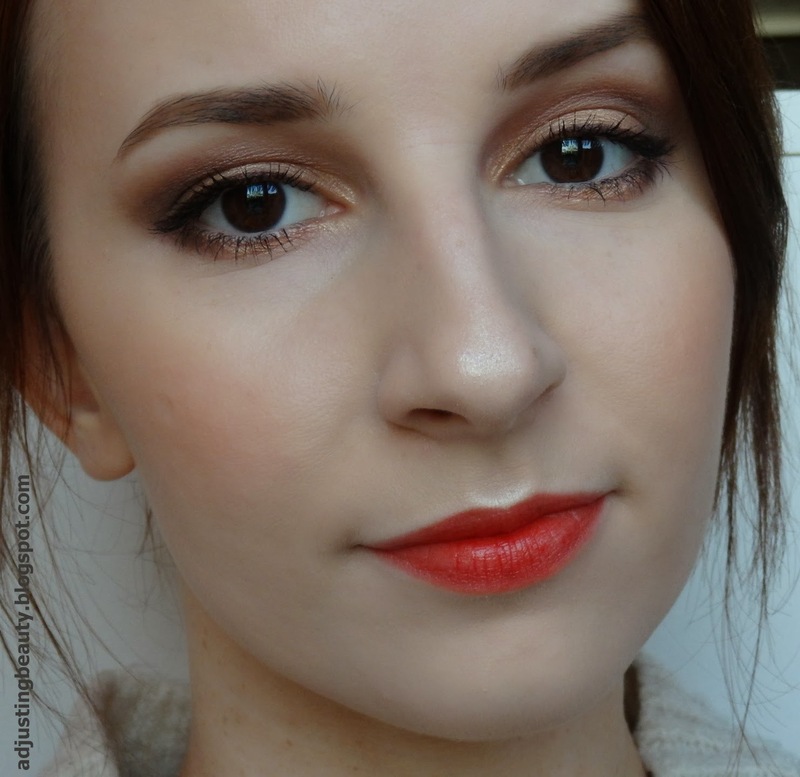 If the weather is not warm, that doesn't mean your makeup shouldn't be. Let's get on with what I used. 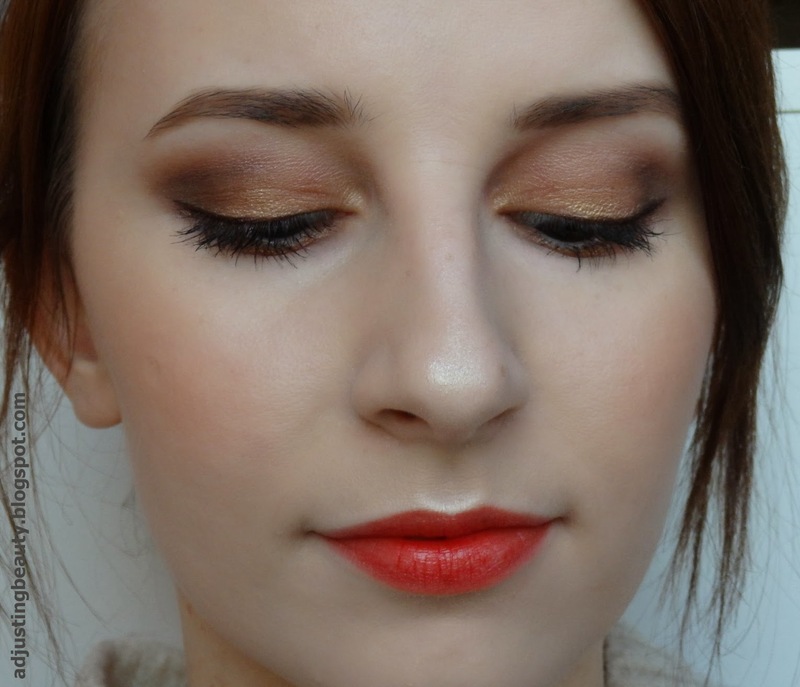 I used bronze orange shade on the lid (MUA Undress me too in Fiery). In the crease I put light berry shade (MUA Undressed in Shade 9). On the outer corner I used dark brown shade (MUA Undressed in Shade 10). I put bright gold shade only in the center of the lid (MUA Undressed in Shade 6). On the bottom lash line I put bronze orange shade. 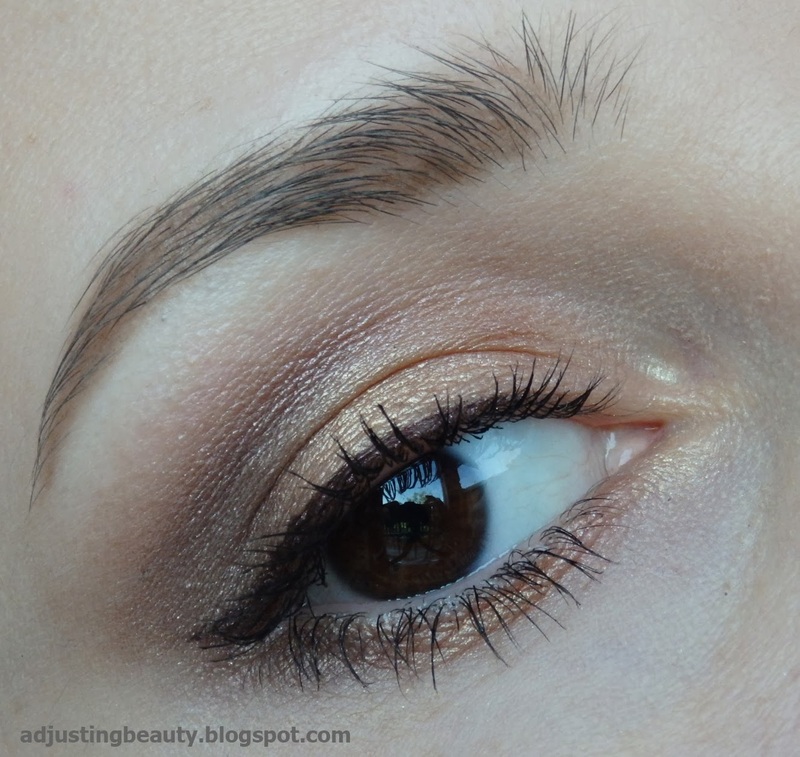 I also used gold shade on the center of the lower lash line and dark brown in the outer part. For the eyeliner I used brown berry shade (Avon Supershock gel eyeliner in Blackberry). I lifted up my lashes and put on mascara (Bourjois Twist up the volume). 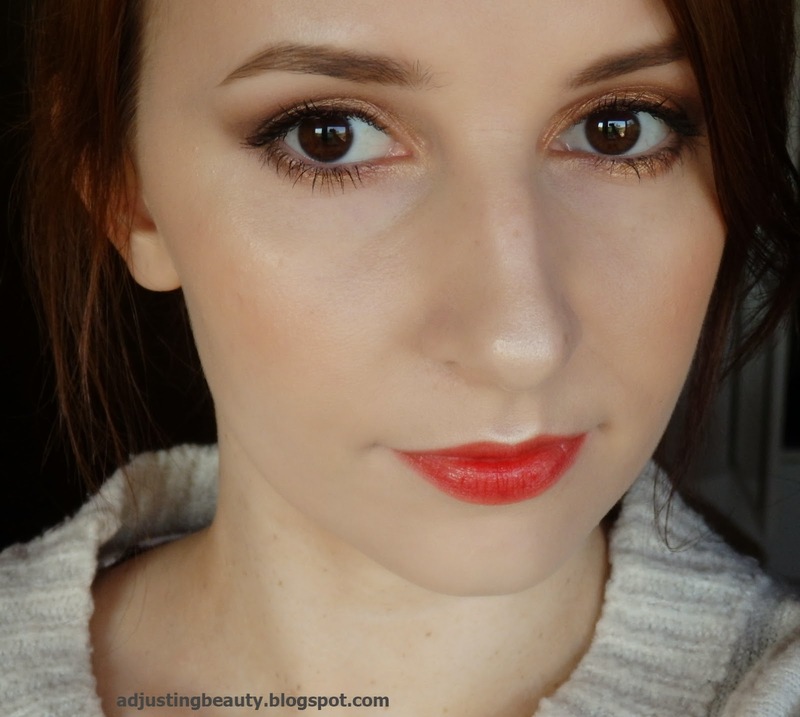 On the face I used a mixture of Maybelline Affinimat and Bourjois Healthy Mix foundation. As a concealer I used Revlon Colorstay. I have been in love with this Essence highlighter from their Limited Edition called Metal Glam in the shade Gold Digger. 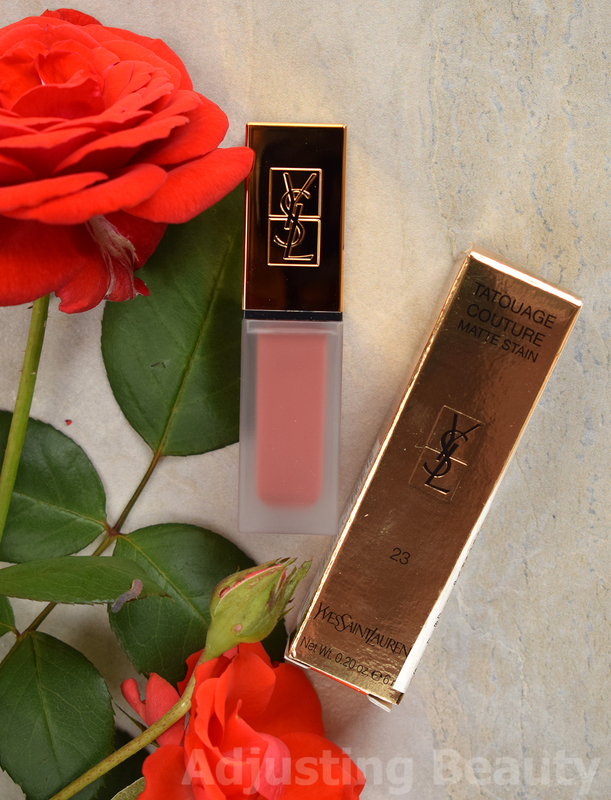 I used it on the top of my cheeks, on the end of the nose, a little on the bridge of the nose and cupids bow. Absolutley love the effect on the cupids bow :). As a blusher I used peach gold shade (Deborah Milano in 24 Rame). For the lips I went with the stain look. 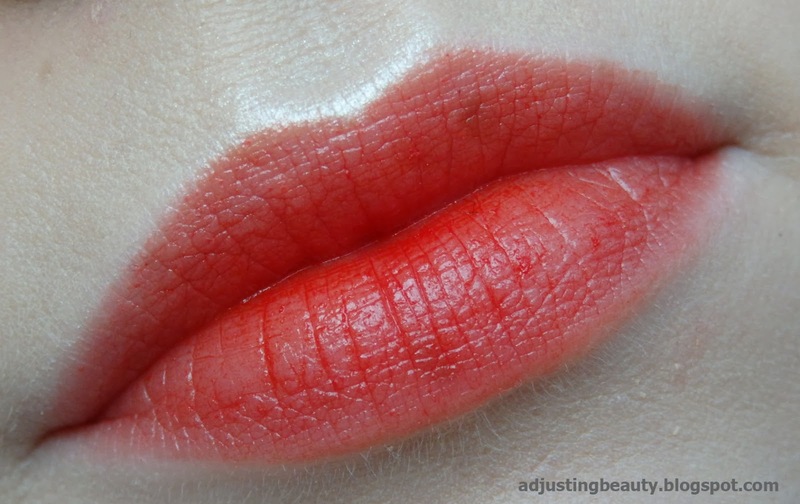 That's why I used shiny red orange lipstick (Catrice Ultimate Shine in 130 Ketch-me-up). What is your favorite eye shadow shade to use in the fall? Your eyes look incredible! You look like the blogger Lily Pebbles in these photos:) you remind me of her! this is stunning! 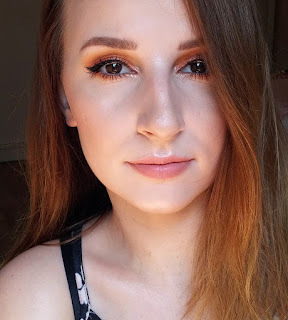 I love orange/bronze shades for the fall!